Professional animator Peter Lord interviewed at Aardman Animations spoke about his Morph puppet: “The model was simple to animate and that was the factor that endeared him to me. He is the ideal animation shape and the size is good. Anyone who works in plasticine knows that the larger the model, the more difficult it is to keep upright. When you do puppet animation you are constantly fighting against gravity. You are trying to make the character move expressively but what you are actually doing much of the time, is making compromises with balance to keep him from falling over”. If you are new to animation you are probably wondering where to get a camera that takes single frames. If you, or someone in your household, has a webcam or a digital still camera then you already have such a camera. It is just a matter of getting the single frames taken on the web cam or digital camera into your computer and make them into a movie. Software, such as Stop Motion Pro, will capture your images and enable you to convert them into movies. 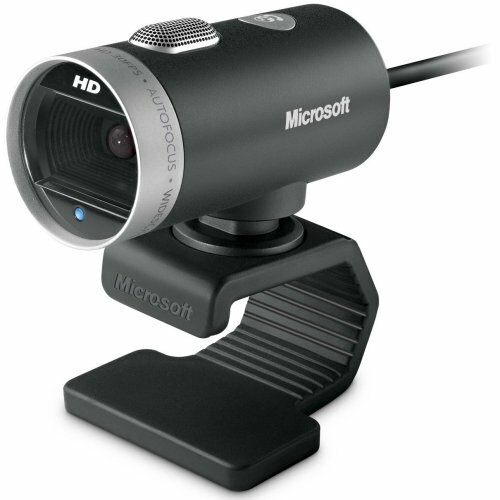 It can be used with a video camera, webcam or digital still camera and is compatible with Windows from XP onwards. See the links at the end of this post for more details. 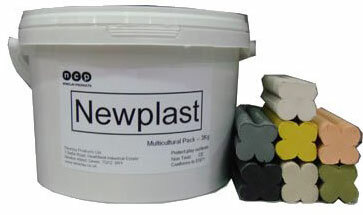 Newplast is a popular choice with animators. Now that you have your camera set up you are ready to learn from the experiences of some other animators. Lewis Cooper tells us “You’ve decided to make a film one frame at-a-time. To make it you’ll need lights which get very hot but the substance you have chosen to use slowly melts under those lights. Not only that, the substance has the alarming tendency of falling over at regular intervals, thereby flattening the features you’ve carefully modelled. Even if you can achieve the impossible and prevent it falling over, the very act of manipulating the substance to get your animation slowly disintegrates your model. You’ve guessed it – this melting, squashing, disintegrating substance is plasticine. It is also an excellent medium for the animator to work in. These statements side-by-side indicate the basic requirement for all animators. They need to be a little nutty. Having established that fact, let’s talk about animating plasticine.” You can read the rest of the article in Animator’s newsletter issue 3 page 14. Microsoft LifeCam Cinema – web camera at Amazon UK store. Newplast 3kg Assorted ( Plasticine Alternative ) at Amazon UK store. 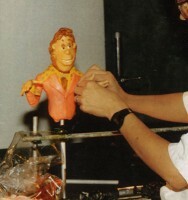 In the USA a popular Plasticine alternative for Claymation is Van Aken Plastalina Modeling Clay. Animator Dan Richards shows how to make an animated film with your own plasticine models. Thank you for the link Carlo. The Plasticine pictures by Irma Gruenholz are beautifully crafted. Can anyone tell me how Van Aken Plastalina Modelling Clay compares with Plasticine?